Beer. It’s perfect, isn’t it? It’s the drink that stands equally well alone as it does when paired with onion rings or even a rack of lamb. It can be as lowbrow or pretentious as you want, but it always seems to be just what you need. One thing we’ve come to notice about beer is that it has some things in common with other classic beverages. For instance, discussions of wine might lead to mention of terroir—the taste of the land. Indeed Brewing likes to think great craft beer has terroir, too. The difference is, they don’t talk with a ridiculous French accent. Instead, they offer you finely crafted beer in a humble, awesome, aluminum can. 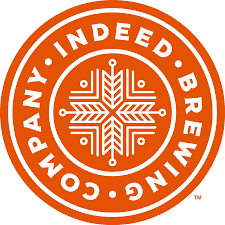 Indeed Brewing Company is situated in the heart of Northeast Minneapolis—a location replete with rich local history and known for being the birthplace of Art-a-Whirl. It’s inspiring for Indeed to be part of an area that has grown from immigrant stomping grounds to a place that hipsters call home, tipping back a glass of brew in the many pubs found here. But they find Minneapolis to be particularly fitting as the home of Indeed. After all, this is the town where their adventures begin, this is the town they come home to, and this is the town in which they regularly raise a glass in celebration of making the most of life. They like to think they’ve put that certain Minneapolis terroir right in every barrel of beer they brew.